Looking for the Adjudicator Center? It can now be found under both the Concert and Solo & Ensemble tabs. You can now find MyCenter in the navigation at the top right of the page. WSMA is proud to announce the inaugural list of WSMA Accredited schools! Interested in recognition for your outstanding music program? 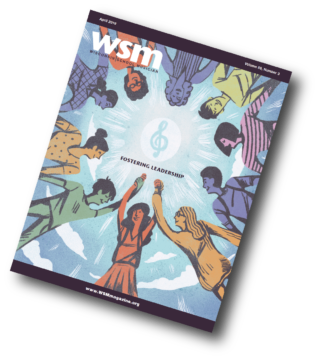 WSMA is now accepting enrollment forms from schools for the 2018-19 school year. Enroll Today! Click here to update your information for WSMA records. A new Music Theater event (boy’s unchanged voice), accommodations for special needs, clarifications in several jazz events… just a few of the updates you need to be aware of for 2018-19. Review the list full list of changes now! recognize, reward and encourage excellence in music teaching. Join us in celebrating 50 years of the HS Honors Project by submitting your memories.